One of the most wonderful things about rediscovering the songs you loved growing up through the internet is that you find out what happened after the stars had their big hit singles. 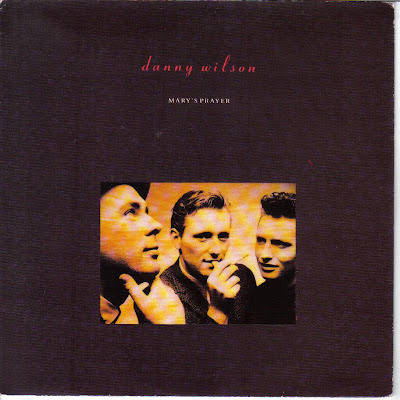 Until today I never knew that Gary Clark who was part of the Scottish band Danny Wilson has since the 1980s written and produced for so many music artists over the years. He has worked with Natalie Imbruglia, Melanie C, Emma Bunton, Lloyd Cole, Rachel Stevens and right up to today with Demi Lovato when he co-wrote and produced her 2009 song Got Dynamite. He also worked with Ferras whose Hollywood's Not America is one of the best songs from the past few years in my pop fan opinion. When I had my radio show in the 1980s one of the most played songs on my show was Mary's Prayer by Danny Wilson. I remember people phoning in asking for that song to be played a lot. It is structurally a fantastically beautiful song it is then no wonder that Gary went on to be such a sought after producer. The other two members of the band were Gary's brother Kit and also Ged Grimes. Here are some songs that I love from Gary and Danny Wilson. The other two members of the band were Gary's brother Kit and also Ged Grimes. The first is Mary's Prayer which was a hit in Ireland, the UK and in America. It really was a perfect radio song. The second is A Girl I Used To Know. The fourth is a super live version of Abba's Knowing Me, Knowing You. and the fifth song is just one of the many songs that Gary has produced. This is one I know lots of my favourite pop bloggers love; Hollywood's Not America by Ferras. There have been more hipster parody videos on Youtube than Nicki Minaj has bras but one parody that I saw today made me laugh. I haven't seen The Hunger Games yet so I know that I will think of this parody video when I do go and see it. Thanks to @DeusExCinema for tweeting the link to the video this morning. Wyoma Films who made the parody are on Twitter too at @WyomaFilms and their Vimeo page is here. The image above was found here. Here's the video. My favourite bit is 'they're not real glasses'.